With festive almost commenced and no new car ready for launch, domestic car maker Tata Motors has announced to launch celebration editions of few gems from its portfolio. 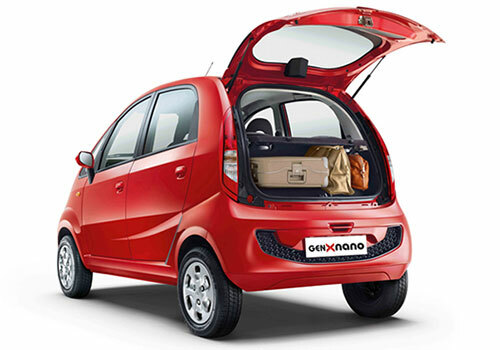 The cars that are selected for Celebration Edition are Nano GenX, Zest, Bolt, Safari Storme and Indigo. Apart from this company has also offered Cash Back Bonanza offer on its other products. According to this offer the buyers buying Tata Cars from October 1, 2015 to November 15, 2015 will have option to win cash back from Rs. 2000 to Rs. 50,000. Well the cashback offer is not restricted only to this returns if you are lucky then you can even get chance to enjoy cashback benefit from 50% to 100%.